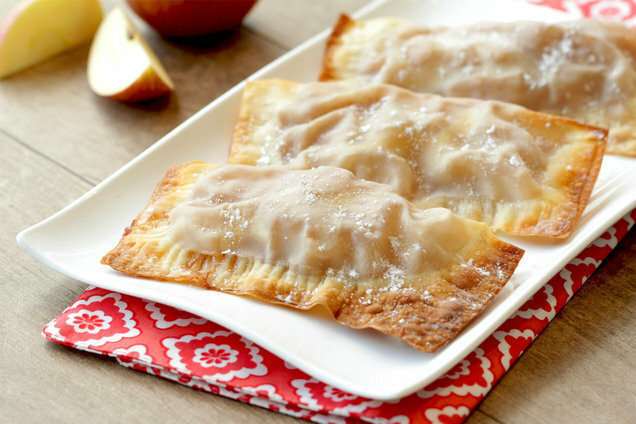 Fans of fast-food apple hand pies... Get ready to rejoice over this calorie-slashed, portion-controlled recipe. Our egg-roll-wrapped treats are baked, beautiful, and bursting with gooey apple goodness! Hungry for More Healthy Apple Pie Fixes? Did you know that November is National Fun with Fondue Month? Our Cauli' Fondue is a great party snack!